Maria here once again with another super helpful HealthBase article 🙂 Let's jump straight in! If you struggle with back acne (sometimes referred to as backne), you’ll find that there are numerous effective solutions to explore. This type of acne can be particularly stubborn, so it is important that you make a point of finding out what your treatment options are like. Backne is different from acne on other parts of the body, so it requires a unique treatment approach. Therefore, the more you learn about this particular bacterial infection, the more effectively you will be able to combat it. For a full breakdown on everything to do with this bacterial infection, please also check out our comprehensive acne treatment guide. Also, feel free to skip ahead to whichever section catches your eye in the below Table of Contents. The very first thing that you need to do when it comes to getting rid of your backne is to understand why you have it in the first place. Acne vulgaris in general usually occurs when pores become clogged with excess oil, which is known as sebum. There are certain things that can trigger breakouts, such as working out. Those who sweat a lot when they work out sometimes develop pimples on their face and different parts of their body due to clogged pores. It is very important to shower after you work out so that your pores do not get clogged with the excess oils that form when you sweat. This is actually a common cause of backne, and it’s one that is fairly simple to solve. Sometimes a hormonal imbalance can also lead to problems with your skin. A lot of people with cystic acne experience fluctuating hormone levels, and it’s another common cause. This is why those who go through puberty and even pregnancy typically get acne to one degree or another. Although it is more common for younger people going through puberty to get this bacterial infection, anyone of any age can develop it. Those who have poor hygiene can also definitely struggle with this issue. If you do not shower enough or take care of your skin on a regular basis, there is a good chance that you will have problems with acne to some degree. You need to make a point of cleaning your skin both on your face and body each day at least once. One of the best ways to relieve back acne overnight is to exfoliate your skin. The exfoliation process removes the bacteria that infect the pores that cause the problem to form in the first place. All you need to exfoliate the skin on your back is a good loofah. By doing this you will remove dead skin cells as well as all of the dirt and grime that contribute to your backne. Make certain that the towels you use to dry off with after getting out of the shower are clean as well. A lot of day spas offer exfoliation treatments that include the back, so you will want to think about taking advantage of these professional services. Getting the skin on your back exfoliated could really be helpful when it comes to reducing annoying acne. The great thing about this option is that it is both a treatment and preventative measure that you can take. It’s also crucial that you keep your clothes clean to keep your pores from becoming clogged. Wearing the same clothes for too long can definitely contribute to the formation or worsening of this skin ailment, so you will need to keep this in mind. It’s always a good idea to stay on top of your laundry so that you keep your acne in check. 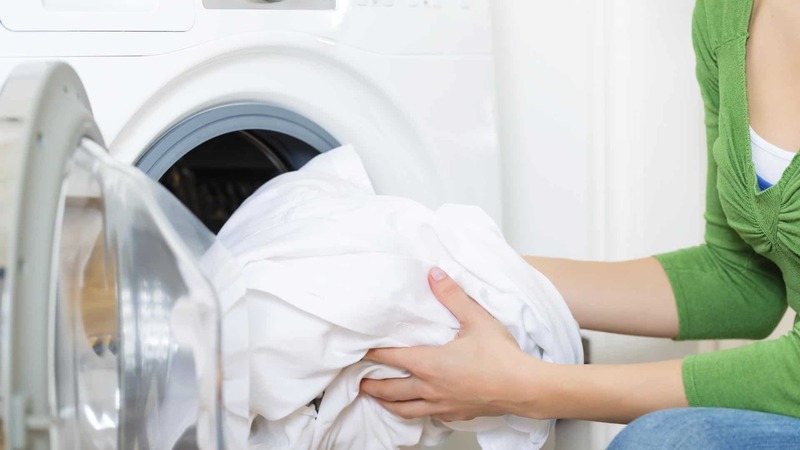 You should also make sure to wash your bedding, including your sheets and blankets, regularly. The bedding you sleep on should be clean so as to reduce the chances of irritating any already present sores. This issue can also cause this bacterial infection to occur on the chest area. There are certain medications that your doctor can prescribe you for your back acne. Many of these medications have been proven to be incredibly effective for many people, though they do come with various side-effects. It is important to talk with your physician before going this route. Some of these medications are topical while others are pills that you take orally. Topical retinoids have proven to be particularly effective at treating very bad breakouts, so you will need to keep that in mind. 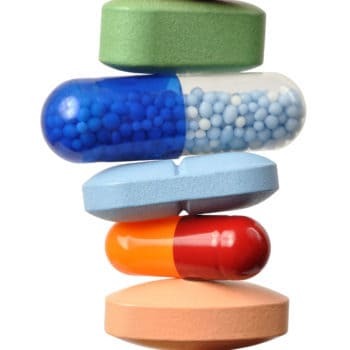 The oral antibiotics that your doctor can prescribe you can help out a lot with reducing the bacteria that clogs the pores of your skin, which in turn causes the acne vulgaris to form from the deeper layers of the dermis. Some people can benefit from these antibiotic medications more than others, so they aren’t an effective solution for everyone. Your doctor will ultimately be able to tell you which type of medication will likely benefit you the most depending on your condition and its cause. The reason that the antibiotics that dermatologists prescribe work so well is because they reduce inflammation. You may have to take keep taking these pills for two to six months, but many of them can work extremely well. If you are currently struggling with back acne, this is certainly an avenue worth exploring. If your problem is hormonal, birth control pills can work wonders to get your breakouts under control once and for all. This is certainly not a solution that is for everyone, but it can regulate hormone levels. While it’s true that birth control pills can take several months to start really working, they do work well once they kick in. Using topical creams on your back acne can also be an effective way to remove stubborn pimples. Applying these products can be somewhat tricky without the help of another person, but it can be well worth it. Finding the right topical cream or ointment can be a matter of trial and error though. Once you have found a topical product that works for you, it will be fairly easy to keep any skin ailments at bay. A lot of dermatologists prescribe special topical cream products to those with particularly stubborn backne. Isotretinoin is a very powerful drug that can work well with severe cases of acne, but it can take up to a couple of years to really work. This isn’t a viable option for pregnant women, but others can benefit from it. You will need to get a prescription for Isotretinoin from your doctor, though it is something that is worth looking into at least. A simple yet effective way to prevent back acne is to wear looser fitting clothing. The tighter your clothing is, the more likely it will be to trap dirt and sweat deep within the pores of your skin, which can cause a breakout. Loose fitting clothing will prevent this from happening, so it is something that you should consider doing. It’s also a good idea to look for clothes that are made of high-quality materials that allow for ventilation. You don’t necessarily have to wear extremely loose-fitting clothes, but they should not be very tight either. There are quite a lot of natural remedies that have been used to treat acne over the years, and tea tree oil is one of them. 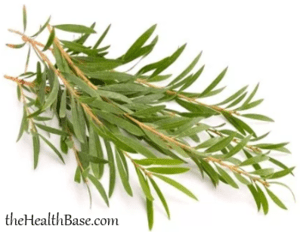 This type of oil comes from the leaves of a certain tree in Australia, and it has been proven to work well for many people with different skin maladies. This is a common ingredient in a lot of different topical creams and lotions as well as skin cleanser products. If you are currently in the market for acne products, it is a good idea to keep an eye out for this particular ingredient. This is one of the most important factors. The food you eat can have a tremendous impact on your skin, so you will therefore need to make every effort to consume healthy foods as often as possible. Eating lots of fruits and vegetables on a regular basis can do wonders for your acne, but you need to be consistent about it. There are some foods that don’t actually cause breakouts, like chocolate or soda. Greasy foods can be problematic it must be noted, primarily because people tend to touch their faces after eating such foods without even realizing it. If you are determined to get rid of your back acne, the very first thing that you will need to do is to take a close look at your diet to see what kinds of changes can be made. Most people can improve their diet to a certain extent, so this is definitely something that you will need to look into. A dramatic change in one’s diet can definitely produce a dramatic change in the quality of their skin for the better. Certain people can really benefit from taking dietary supplements, and they can do great things for your skin. There are numerous vitamins that play an essential role in the quality of our skin, so you will need to keep this in mind. If your doctor tells you that you’re lacking in certain vitamins and/or minerals, you might want to consider taking a supplement or two. You can of course get most of what you need from eating the right foods, but pill supplements are also an option. 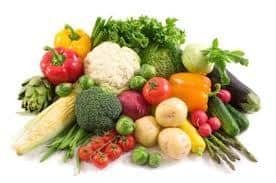 Most vegetarians should take these supplements because they do not get everything they need from their diets. You might be surprised at just how much of a difference a simple vitamin supplement can make when it comes to improving your skin. Vitamin D in particularly is very important when it comes to your skin, so you will therefore need to make sure that you are getting plenty of it. We naturally get vitamin D from the sun, but you can also take supplements if you aren’t getting enough on a regular basis. Vitamin C is also crucial when it comes to maintaining good-looking, youthful skin. If you want your skin to look its best, you will certainly need to get lots of this vitamin each day. There are plenty of foods that you can eat that are loaded with this vitamin, including oranges, broccoli, and spinach. Vitamins E and K play important roles in maintaining good quality skin as well. If you need more vitamin E, you can eat more nuts or take a supplement. These supplements can be purchased at most grocery stores or drugstores as well as online. Take some time to look into your supplement options so you can save as much money as possible on them. If you are planning on taking one of these supplements long term, you don’t want to spend more money than you have to. 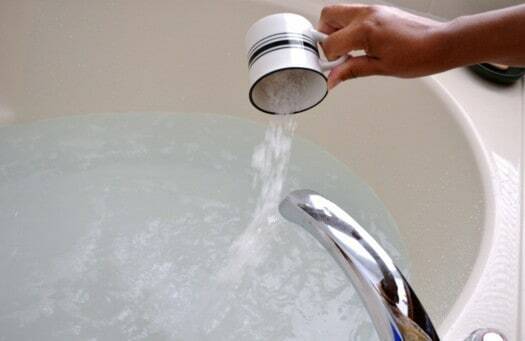 Salt water baths can have a soothing effect on your body overall, but they can also help reduce inflammation in the skin. If you are currently experiencing a problem with acne on your back, taking one of these baths could prove to be incredibly helpful. This is actually one of the better methods to use for treating backne, simply because your entire body is submerged, and you don’t need the help of anyone else. Lots of people have found that taking a warm salt bath once in a while makes a huge difference with the severity and frequency of breakouts. There are lots of different types of bath salts you can buy, so take the time to find one that will work well for you. It has been proven that stress can cause acne to worsen, so you will need to do everything you can to relax. There are many different ways to reduce the amount of stress that you experience on a regular basis, such as meditating and getting regular physical exercise. The less stressed you are, the less likely you will have to deal with breakouts. This will benefit you in many different ways, including having better-looking skin. Those who know how to manage their stress effectively tend to have better skin than those who do not. Even some simple breathing exercises can make a big difference with your stress levels. For more tips on clearing your skin for he better we recommend reading our do’s and do not articles. We highly recommend following the options we highlight on this page. However, in conjunction with this there are options that can speed up the process and deliver the overnight results you're looking for. The #1 solution that we recommend you check out is Exposed's solution that has provided incredible results for us and many of our readers. Never be afraid to take your t-shirt off again! The other options that we can proudly recommend to our readers can be found here. There you have it folks, that brings to an end this particular article. I hope that you learnt something new and now feel more confident in dealing with any skin issues that you might have. In addition to this article, we at theHealthBase have also constructed other such pieces that focus on the issue of acne. I've attached the pieces to the bottom of this article so make sure that you take a look if you're looking for more answers.